Department of Anesthesiology and Intensive Care, Hospital of Ludwigsburg, Posilipostr. 4, D-71640 Ludwigsburg, Germany. 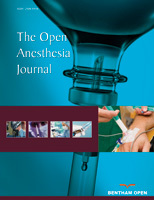 We report a rare case of a postoperative bilateral laryngeal and pharyngeal lesion of the extracranial vagal nerve following a routine general anaesthesia in prone position. It documents a possible way of a serious complication depending to the positioning of the patient in prone position. Etiological factors and measures to avoid this rare but critical complication are discussed. For the clinical practise it should give an advice to minimize the risk of injuries by malpositioning.